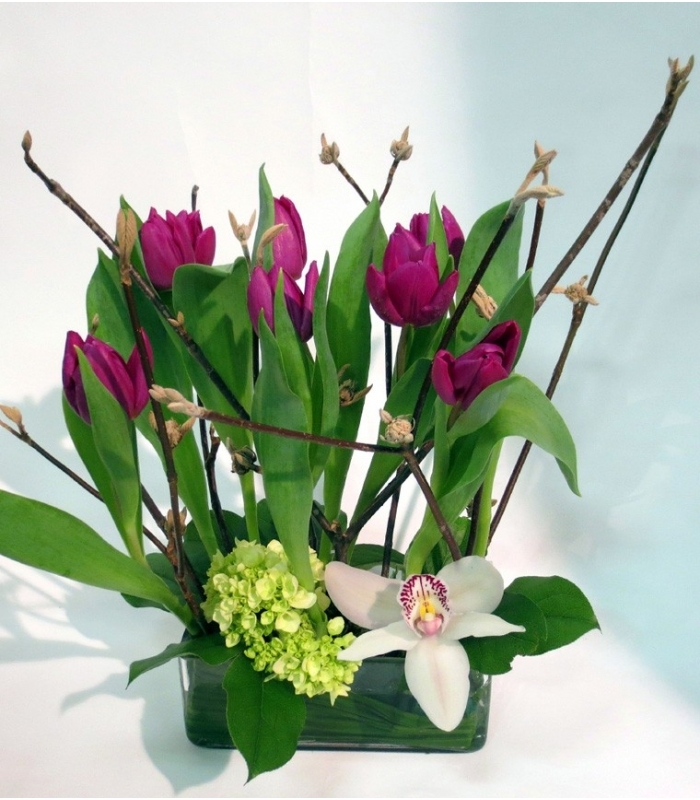 Beautiful arrangement with purple spring tulips from Holland, green hydrangeas from South America and white orchids from Asia. The arrangement is enhanced with salal foliage and seasonal branches. The flowers are inserted in floral foam. The vase is included in this modern floral arrangement. parfait pour la fête de ma mère.